Lectori Salutem. Greetings reader. I suppose I should say “smoker” rather than reader, but I’m not sure that there is a Latin word for “smoker,” inasmuch as that part of the planet was a non-smoking area when Latin was the lingua franca. Rome smoked away as much of it burned in 64 AD, but there were no smokers to blame. Nero strummed his lyre and blamed it on the Christians. Today I suppose the smokers would get the blame. Often people approach me on the street and ask, “Cigarfan, how do you write a cigar review?” And my answer is always the same. Look, we’re going to have to go all the way back to ancient Rome, or maybe Greece, and engage in some rank speculation. But my bus is almost here so let’s make this quick. The golden caramel-colored wrapper leaf on this cigar is quite pleasing to the eye, even if it is marred somewhat by the roughness of the binder beneath. The head is carefully wound and crowned with a single cap. Both cigars burned very well, even though they were inconsistent in other ways. The difference between the two cigars seems to be in the bunching. Both cigars drew well, though one was a bit tighter than the other. As a result one burned slower, and seemed to be both stronger and more peppery. Overall construction: very good, despite some inconsistencies. The Salutem Toro Major has a generally dry flavor profile, but it develops considerable complexity. At first the tannin comes on a bit heavy, but as the cigar loosens up it shows an earthy flavor on the palate with notes of vanilla, oak, and sweet fruit on the nose. Eventually the fruity flavor comes into focus as cherry or black cherry, and a minty eugenolic flavor appears. I’m guessing that is the Cameroon’s contribution to the blend, but wherever it comes from, it’s a delicious addition. One of these Toros was noticeably spicier than the other, and slightly more potent, leading me to wonder if the heavier and more tightly rolled cigar received an extra helping of ligero by accident. I didn’t enjoy this cigar as much as the other, since the peppery flavors overwhelmed the complexity of the blend. I almost always smoke two cigars before forming an opinion about a blend, and two usually seems enough. Occasionally fatigue or complacency hampers my enjoyment of a cigar, and some days are better than others, but usually two sticks does the trick. But with Toraño’s Salutem, I feel like I need a larger test pool. The two cigars were so different that I’m not sure which was the real Salutem. I can’t comfortably rate this cigar until I smoke a few more, but I liked it enough to do just that. 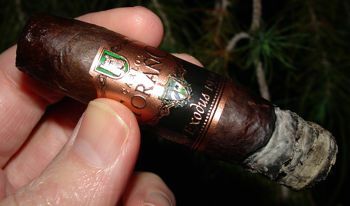 It’s a complex and flavorful medium-to-full bodied cigar, and it definitely piqued my interest. I just hope the inconsistency that I experienced was a fluke. In the meantime, Caveat Emptor. 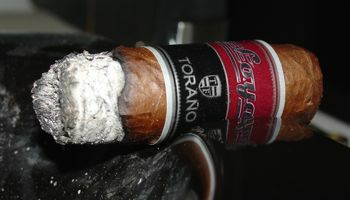 Going price for Torano’s Salutem Toro Major is around $6.50. Vale! One of the reasons I’ve always liked Toraño Cigars is that they have the consistency I expect from a large manufacturer, but they frequently take chances on inventive new blends. The Single Region (which garnered a spot on my Top Ten list last year) is one of those — a cigar made entirely with tobacco from one small region of Nicaragua. Toraño’s Vault is almost a Nicaraguan puro (it includes a binder from Jamastran, just north of Nicaragua in Honduras) and is quite a bit more geographically diverse than the Single Region, but it shows the same kind of ingenuity. It’s also a much heavier cigar than the Single Region. In fact, it’s supposedly one of the heaviest blends Toraño has developed thus far. The name of the cigar comes from the safe which houses Toraño’s “blend book,” a history of every blend developed by the Toraños since 1982. Some of these have been commercially released, and others never made it to production. 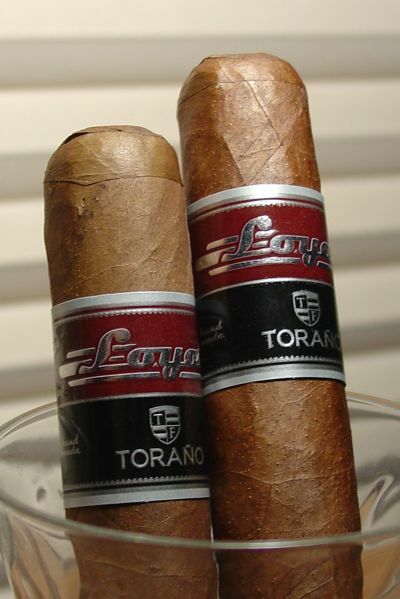 One of the blends that fell to the wayside was the Liga A-008, which was first created in 2000. 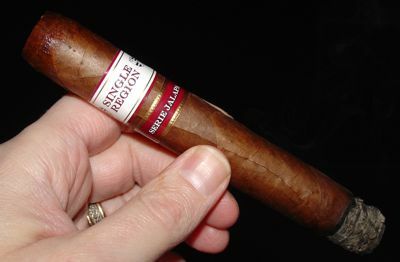 The original recipe utilized fillers from Condega and Esteli, a Jamastran binder, and a shade grown Nicaraguan binder. For the Vault, the Toraños tweaked the blend by adding some peppery ligero from the volcanic soil of Ometepe island in Lake Nicaragua. A binder from Ometepe was added to the Jamastran, and some Ometepe ligero was folded into the filler. 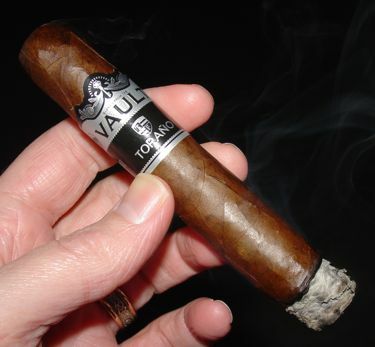 The Vault robusto is a solid, well-rolled stick with a glossy, dark colorado maduro wrapper. (It looks too dark to be shade grown, but that must be the variety or the aging process at work.) The head is flat and the cap is functional. It clips crisply and the draw is easy. 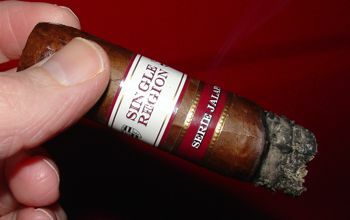 The cigar burns very slowly, perhaps due to the relatively high ligero content, but with no diminution of smoke volume. I needed to touch up the burn once or twice, but it wasn’t really problematic. The ash flakes a little, but it’s as solid as the roll. 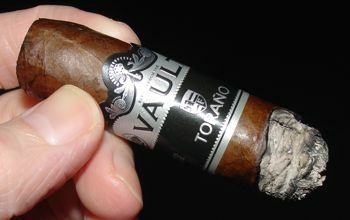 The Vault robusto comes jumping out of the gate with pepper on the palate and a bite on the tongue. This seems to be the norm for medium-to-full bodied Nicaraguan cigars these days, and the Vault is no exception. The spice is accompanied by an aroma of grilled meat and a touch of caramelized sugar. The flavors are tempered a bit as the sharpness of the pepper fades in the middle section. The meaty tones in the aroma turn leathery but the sugary note remains. The smoke is medium in body but full in flavor and potency. There are no big surprises in the last lap. The pepper returns, as expected, but it doesn’t drown out the other flavors as it tends to do in the first inch. The sweetness fades, but the pepper and leather lingers in the aftertaste. I would be interested to see what the original Liga A-008 tasted like, because I think the Ometepe might be a little bit overdone in the Vault. It’s still a nicely balanced, full-flavored cigar, but it’s a bit sharp and a little less complex than I would like. A few more months in the box might serve these cigars well, unless you’re after that big spicy flavor — and of course there are a lot of folks who want exactly that. If that’s your preference, the Vault should be on your shopping list now rather than later. The word terroir means “land” in French, but it is most commonly used in the wine trade to indicate the qualities that are imparted to grapes by the growing environment. This basically comes down to soil quality and weather, both of which have a tremendous impact on the quality of the fruit. The same thing goes for tobacco (and coffee, and probably all agricultural products.) Tobacco is a resilient plant that will grow almost anywhere, but black tobacco suitable for cigar making is much more finicky and is in many ways sensitive to the terroir. A tobacco grower does everything he can to produce the ideal conditions that will result in the type of leaf he wants — from buttressing the soil with minerals and fertilizers to shading the plants with cloth to create a lighter shade of wrapper leaf. Cigar blends usually incorporate leaves from several different regions to create a balance of the best qualities of each region. 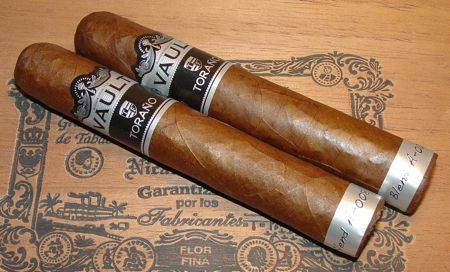 As an example (maybe not a great one), piloto cubano from the Dominican Republic might be used for spice, combined with a milder volado leaf to promote an even burn; a broadleaf binder from Connecticut might be used to give it a round leathery taste, and it might be finished off with a maduro wrapper from the San Andres Valley of Mexico for a chocolatey sweetness. It would be unusual to find tobacco with all of those qualities in one region, let alone one farm. But that is exactly what the Toraño family has done with its Single Region release. Part of the reason they are able to do this is because it’s a hell of a region — the Jalapa Valley of Northern Nicaragua is one of the most fertile and productive places to grow cigar tobacco outside of Cuba. The Jalapa Valley is known for the sweetness and rich flavor of its tobacco, and is sometimes contrasted with tobacco from Esteli, which tends to be sharper and stronger. 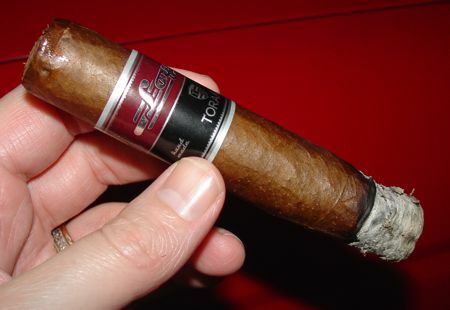 The Toraño Single Region Toro is a finely crafted cigar. The wrapper is ruddy, slightly veiny and rough, but it’s oily and luscious all the same. The roll is solid and the head is well formed. The neatly wound triple cap clips cleanly. The tobacco is packed tightly but it draws perfectly. The burn is slow, albeit somewhat uneven at times, and the ash is remarkably dark. I’ve only seen ashes this dark on Cuban and a few Nicaraguan cigars. The Single Region toro is nicely balanced from the very first puff. The smoke is soft and subtle with a peppery note that serves as an accent rather than the central flavor. It is medium in body, but high-toned with a notably acidic zing. Notes of cedar are prominent. Cocoa and caramel come to the fore in the second stage, creating a sweetness that is almost syrupy at times. The aroma is complex, balancing cedar with something slightly fruity. It’s fairly unusual. The last third becomes more concentrated as the pepper returns and the tobacco picks up a touch of char. At one point I found overtones of whisky on the nose, or maybe butterscotch. The body of this cigar seems to be uniformly medium, with a relatively light nicotine kick. Based on some lukewarm reviews I was prepared to be underwhelmed by the Single Region, but it turns out this is a fantastic smoke. It reminds a little of Pepin Garcia’s Troya Classico, another medium-bodied Nicaraguan puro that I like a lot (and which is unfortunately no longer in production.) In some ways it’s a classic Nicaraguan cigar — woody with notes of cocoa and that characteristic zing — but it’s more complex than most cigars in its class, particularly on the nose. This is a really interesting cigar that is both wonderfully complex and also very easy to smoke. I enjoyed it a lot, and with a price around 5 or 6 dollars, I’m think I’m going to be enjoying it a lot more in the near future. It was an eventful year for Toraño Cigars. First, the company recovered the distribution rights to their brands, which up to that time had been exercised by CAO. 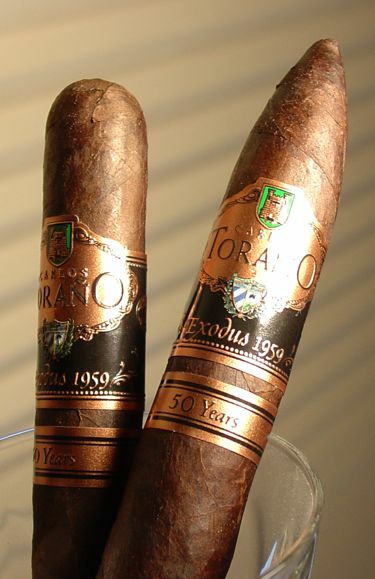 Around the same time they established the new Toraño Family Cigar Company, previously known as the Toraño Cigars. 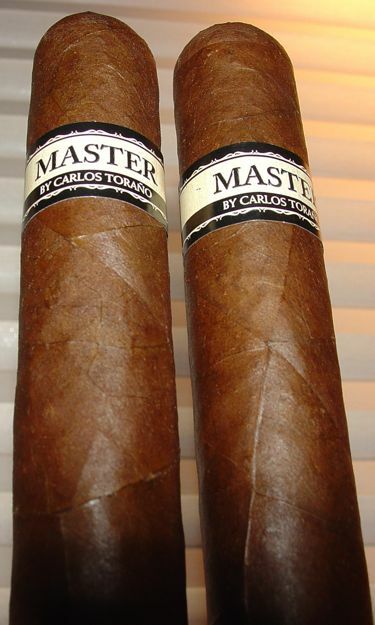 And finally they released three new blends: Brigade, the Single Region Jalapa Serie, and the Master by Carlos Toraño. Ending the year with a masterful smoke seemed like a good plan, so I snapped up a few Master torpedos at Ye Olde Bee an’ Emm for what seemed like an awfully good price. This is obviously a very well rolled cigar, as the name implies. The wrapper is a little bit veiny, but the color is an even and attractive colorado maduro. The burn is a bit uneven at times, but this never amounts to more than an minor aesthetic issue. The draw is perfect, which makes up for any small flaws in appearance. 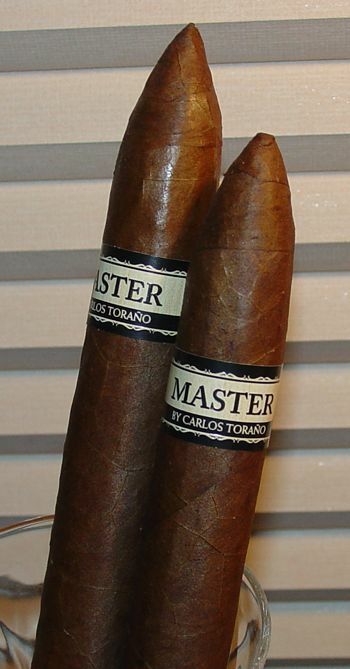 The Master by Torano torpedo opens up dry with a touch of cocoa. It’s smooth and fairly light in body with an acidic kick — the kind of cigar that makes your mouth water a bit. The mid-section continues in the same vein: high-toned. The cocoa flavors become a little more complex, developing into a richer coffee flavor, and the finish is earthy with a waxy aftertaste. The flavors remind me of a lightly roasted single origin coffee, the kind that loses its complexity with a dark roast but when lightly roasted is bright and original. 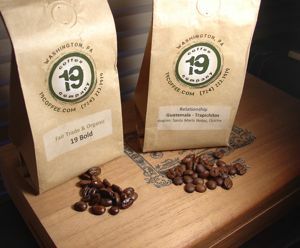 The last third exhibits a fruity aroma, with continued coffee and earth on the palate. The cigar remains smooth and flavorful to the band without muddying over. 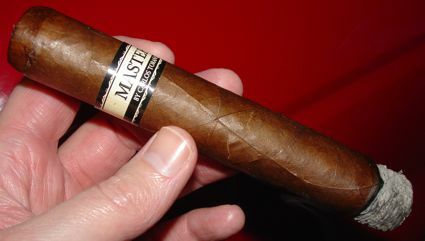 The Master reminds me a little of another Torano cigar, the Noventa, with a few differences: it’s a bit heavier in body than the Noventa, but not quite as complex, and it’s a hell of a lot cheaper. The Master is not as sophisticated as I had hoped, but it’s smooth and flavorful. In its favor is the price: the torpedos sell for only five dollars a stick. This cigar is not marketed as a value blend, but its affordability gives it a definite advantage over many cigars in the same price range. So far I haven’t factored price into my ratings, but cigars like this make me wonder if I should start. Like many cigar makers, the Toraños celebrate anniversaries with new cigars, but unlike most anniversaries, this one has a bittersweet flavor. 1959 was not a magical year for the Toraño family, but it is the year that made them what they are today. Hence the 1959 Exodus line of cigars, which includes this recent addition, the “50 Years” blend. Beneath the Brazilian wrapper is a binder from Honduras, and the filler is a combination from two areas of Nicaragua: Esteli, and Pueblo Nuevo. The Toraños introduced the new line with their “Roots Run Deep” tour that traveled across the U.S. during the spring and summer of 2009, and it looks like they plan to keep the show running in 2010. Carlos and Charlie travel with a veteran torcedor who rolls special “Tour Blend” cigars that were so popular with event attendees that the blend is now available by the box at events. So check out the tour when it swings by your town. The 1959 “50 Years” is not advertised as a maduro cigar, but in appearance (as well as in performance) that is what it is. 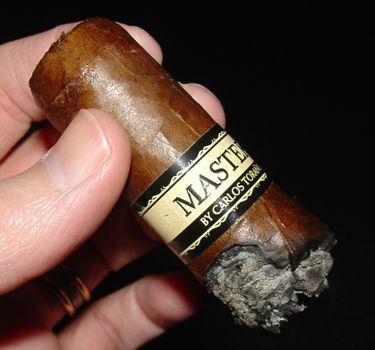 The wrapper is dark and oily with the slight chipping that maduro leaf is prone to. The roll is solid and the draw is firm, just the way I like it. The burn is a little uneven due to the oil-drenched wrapper leaf, but it corrects itself and builds a solid ash. This blend has been prescribed for dessert by some aficionados, and after smoking a few I can see why. The “50 Years” smokes like chocolate pie, the Mexican kind, with plenty of cinnamon and a splash of coffee liqueur. The first slice is served up with a nice dose of pepper, not too strong, but assertive. There is a woody base flavor, cedary with a touch of cinnamon. It starts out medium to full in body and stays in that range for the duration of the cigar. These are fairly short cigars, so the flavor transitions aren’t dramatic. It does seem to get a little smoother in the mid-section though, with the pepper dropping off a bit and dark roasted coffee flavors coming to the fore. The flavor remains rich and semi-sweet. In the final inches the wood gives way to leather, but the overall flavor is still soundly in that coffee-cocoa-chocolate territory, especially in the aroma. The sweetness coming off the wrapper has a distinctly liqueur-like quality, something almost like Kahlua. I think most maduro lovers will get a bang out of this cigar. It’s balanced and well-blended, but on the heavy side with a lengthy finish and a little bite. Overall, this is an excellent smoke that would go really well with a glass of tawny or vintage port after dinner. 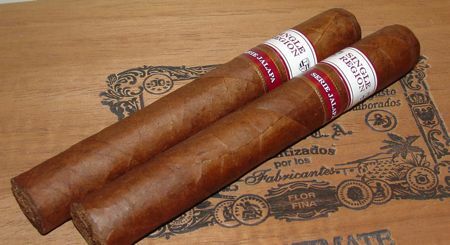 Prices are in the medium range at 7 USD for the robusto and short churchill, and a dollar more for the torpedo. Cigar Jack calls the Short Churchill his favorite cigar of 2009. The Stogie Guys give the Torpedo a favorable Quick Smoke. Barry rewards the Robusto with a 93 for A Cigar Smoker’s Journal. 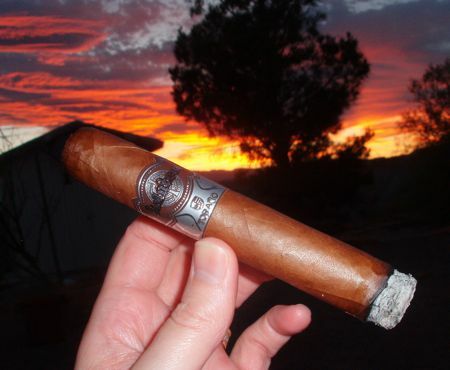 A balanced review of the Robusto from the Cigarnut.